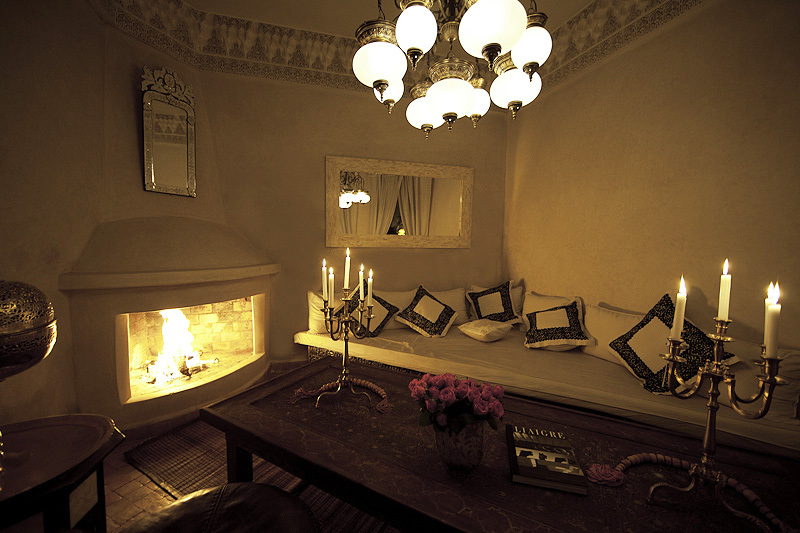 Dar Fakir - Luxury Riad in Morocco. 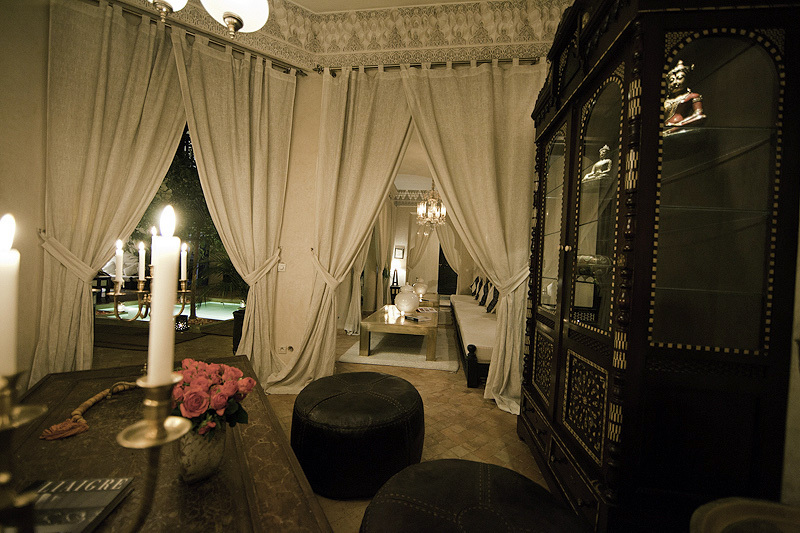 Book Dar Fakir Today with Hip Morocco - Holiday Accommodation in Marrakech, Morocco. "A charming home resolutely elegant and zen..."
Re-opened to visitors at the beginning of 2011 with an exciting new management team, Dar Fakir has been renovated and refurbished with passion and originality. 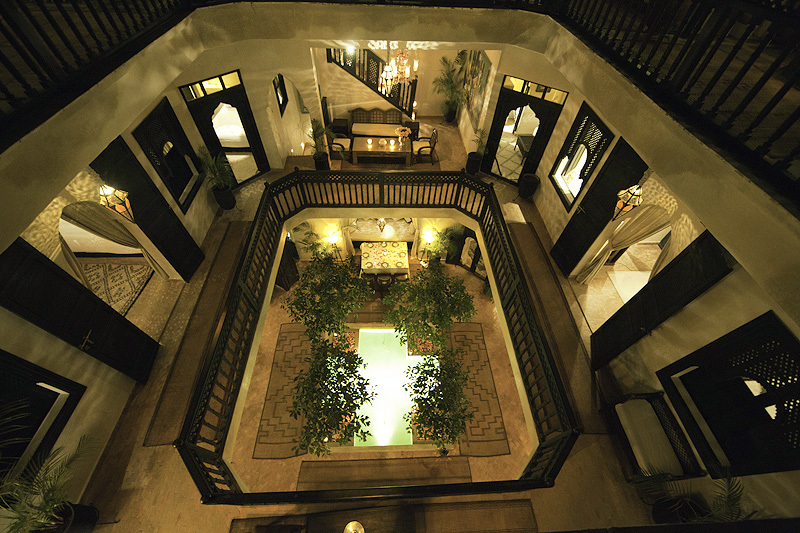 Transformed from a local riad home into a hip boutique hotel, it is indeed an oasis in the heart of the medina - elegant and comfortable, dedicated to the peace and service of its guests, everything will be done to please you. 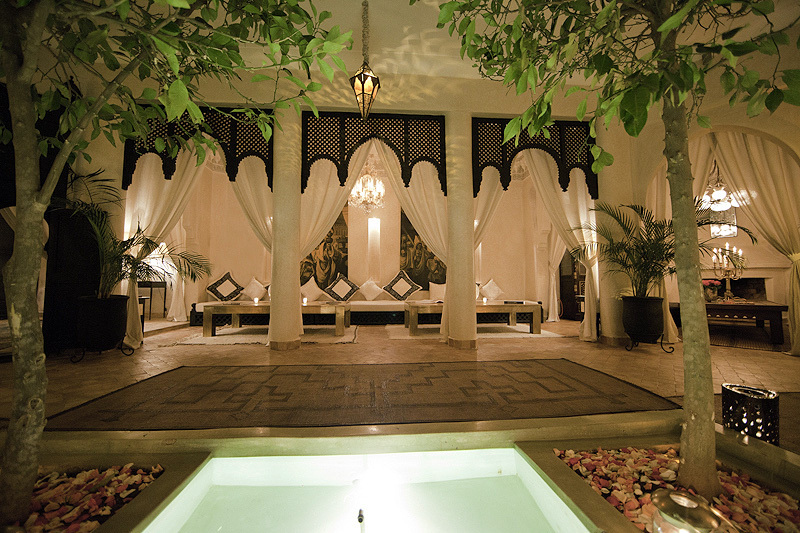 Dar Fakir differs from other riads in that we offer an extensive service over other riads including not only cooking courses but yoga, artisanal workshops and a very intimate service bordering onto concierge at affordable rates. We provide extras such as meet and greet throughout your stay if required by our night guardian during the evenings and at night. Mobile phones for local calls are loaned free of charge to guests on request. We spend a lot of time with the guests making them feel welcome in the riad but also at home in the hectic maze of the Marrakech Medina. 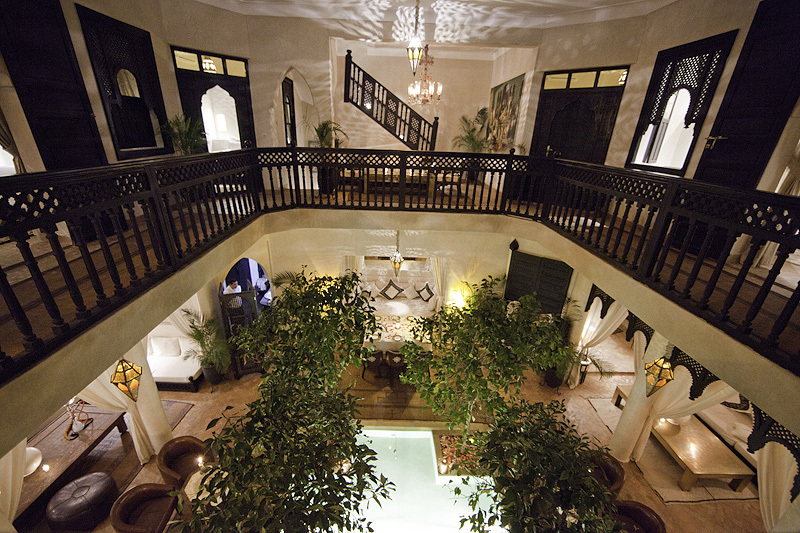 In total 4 languages are spoken in the riad Dar Fakir - English, German, Swedish, French. 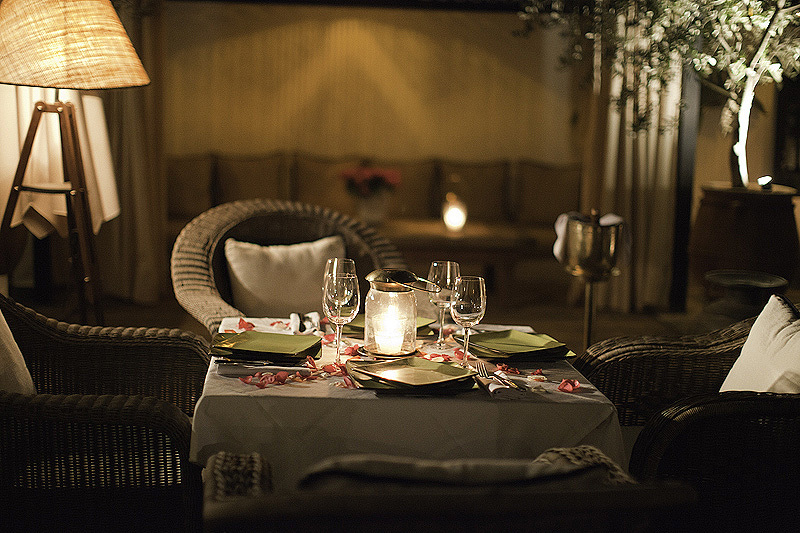 The shady garden patio is the centrepiece around which the individually designed rooms are arranged. 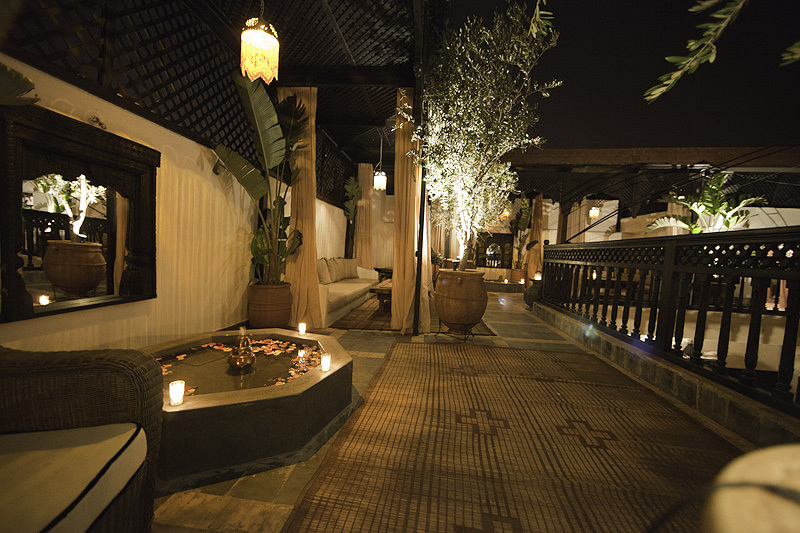 The roof terrace of Dar Fakir is the perfect place to relax in the evening and enjoy a drink beneath the stars, or for soaking up the sun and the local sounds from the souk during the day. 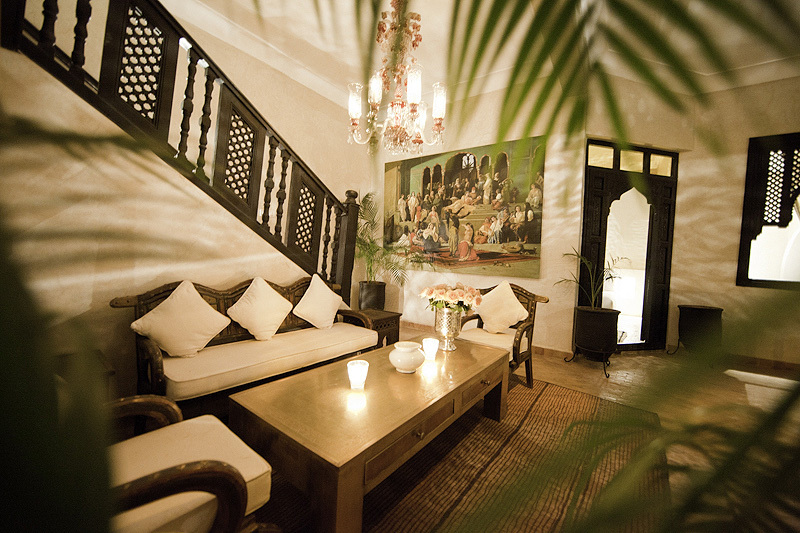 The guest lounges have an oriental theme with a carved Buddha presiding over the reception area and an interesting array of artefacts from India, Thailand and Morocco are scattered around the riad. 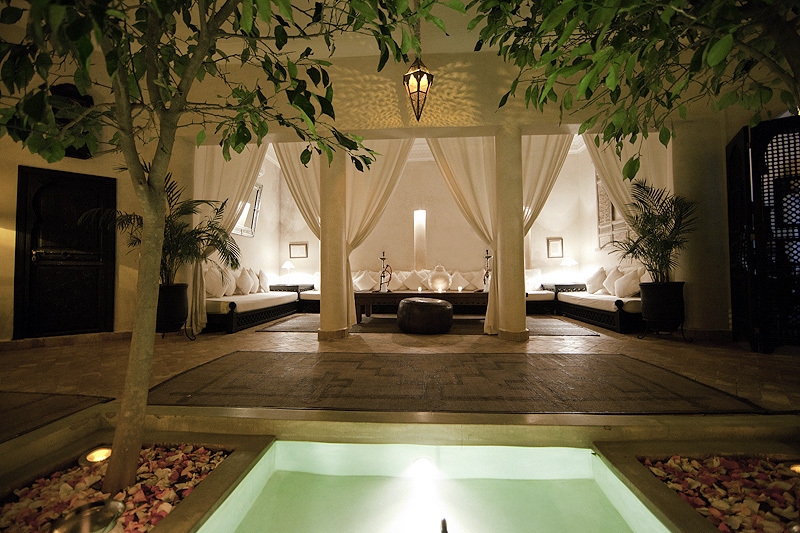 Dar Fakir is a short stroll from all the sights and attractions of bustling Marrakech. It is less than 5 minutes walking distance of the Jemaa el Fna Square. Experience the bustle of the crowded souk, the vibrancy of this fascinating culture and the wonderful sights and sounds from this well-located boutique hotel. 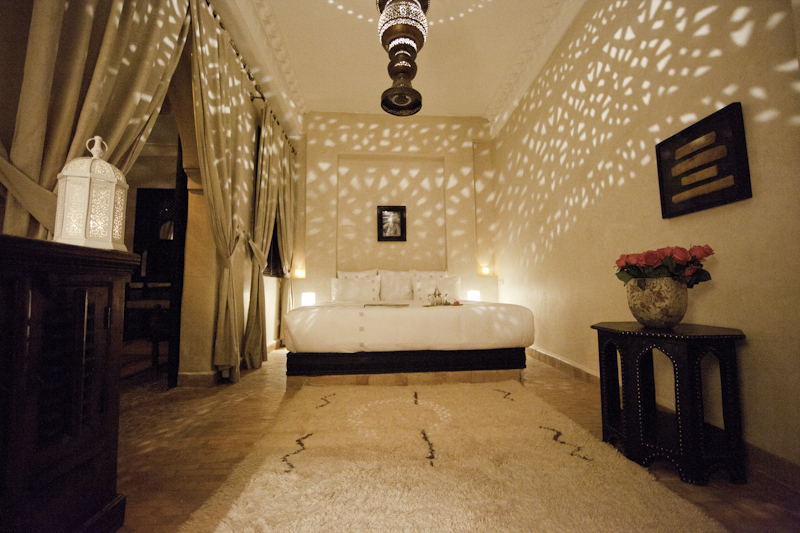 The 4 suites and 3 rooms in Dar Fakir are individually styled with a fusion of contemporary décor and local Moroccan style. Ornate Berber mirrors, glass lanterns and bold colours make each room warm and inviting. 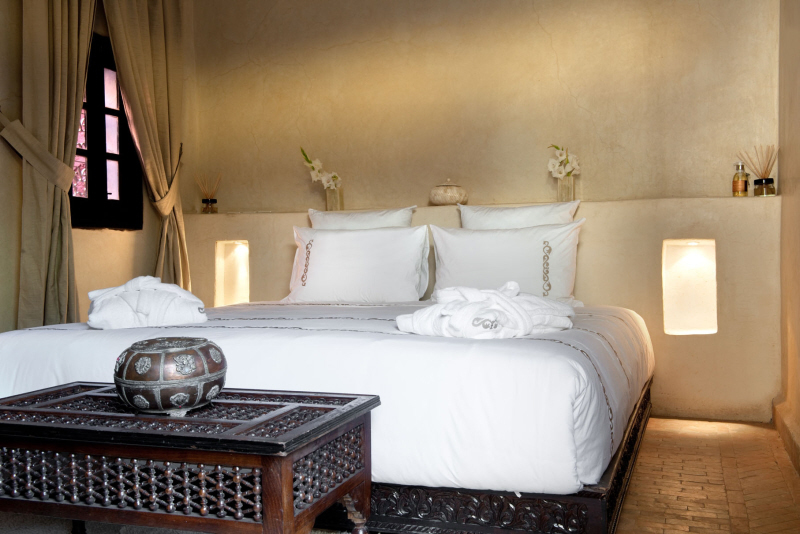 The rooms all have individually embroidered bed linen made from Egyptian cotton. 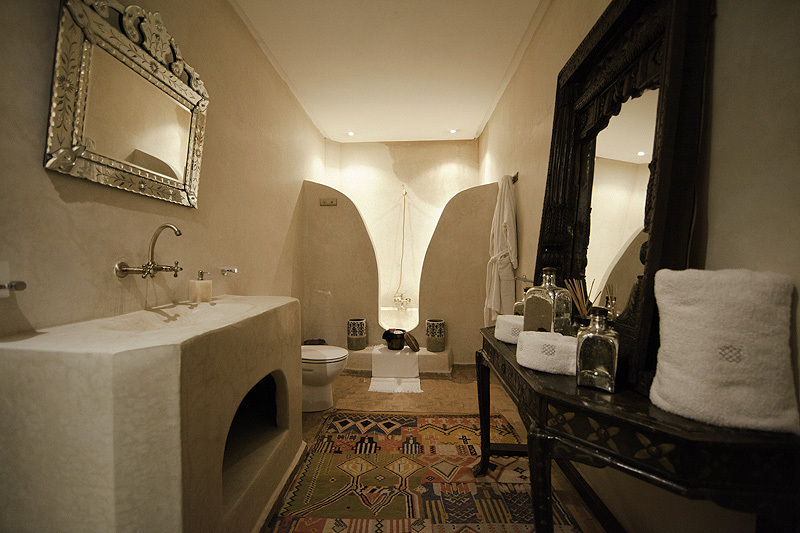 The toiletries provided by Sence de Marrakech are shower gel, body lotion, shampoo and hand soap. The bathrooms are modern and spacious. "A stunning property really close to the square, tucked away from the lovable chaos this remarkable little gem is a cool oasis of calm and tranquility. The staff are really very helpful, in particular the director of the Riad Kersten Brand, who is on hand to help with any query from booking dinner reservations to recommending places to go, routes to take and divulging Marrekeshi etiquette." 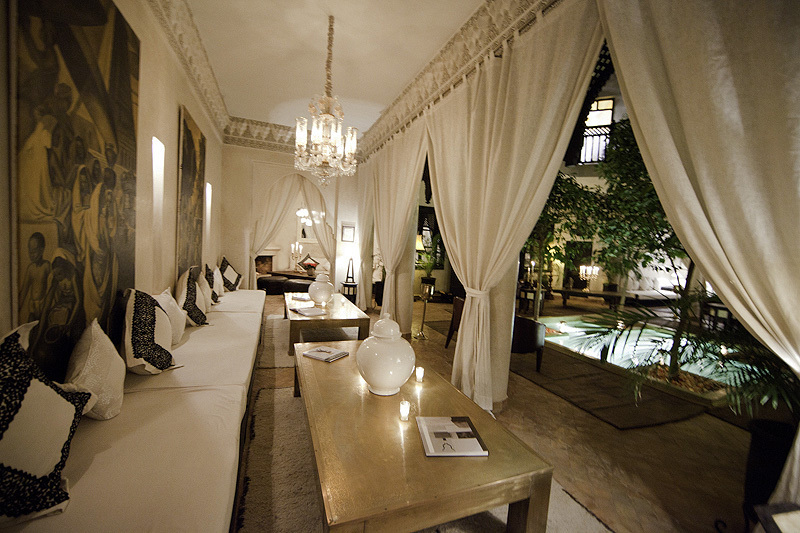 "This is truly a luxurious and very beautiful place to stay, in the heart of Marrakech! We can highly recommend it! The atmosphere is wonderful and the service is just great! It is garanteed that you get a very delightful stay here!" "What a gorgeous place! We loved every minute of our stay! Dar Fakir is absolutely beautiful and the staff was ever so lovely and friendly. 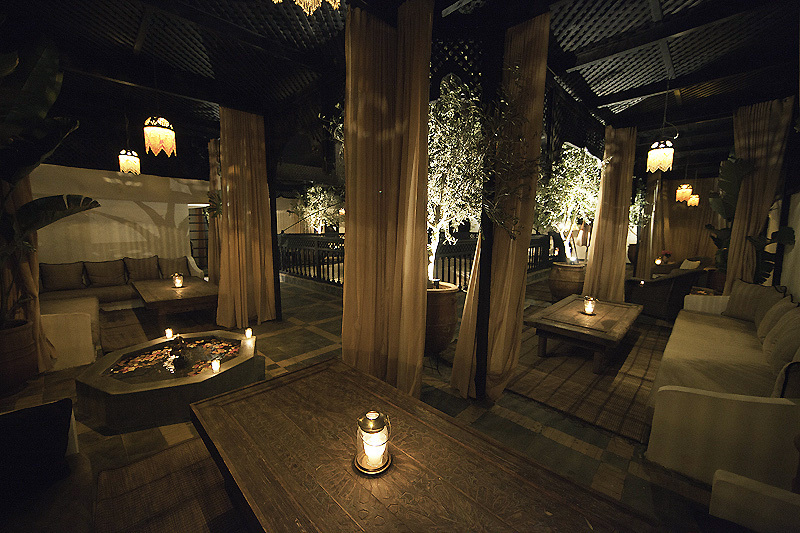 We especially loved the balmy evenings on the stunning roof terrace We will definitely come back!!!" "My friends and I visit marrakech on a regular basis and we have always stayed at lovely hotels but dar fakir beats them all by far and now we will only stay here. It is absolutely stunning and you literally feel like you've walked into a photoshoot. The rooms are very comfortable and every little bit of the riad is decorated beautifully." 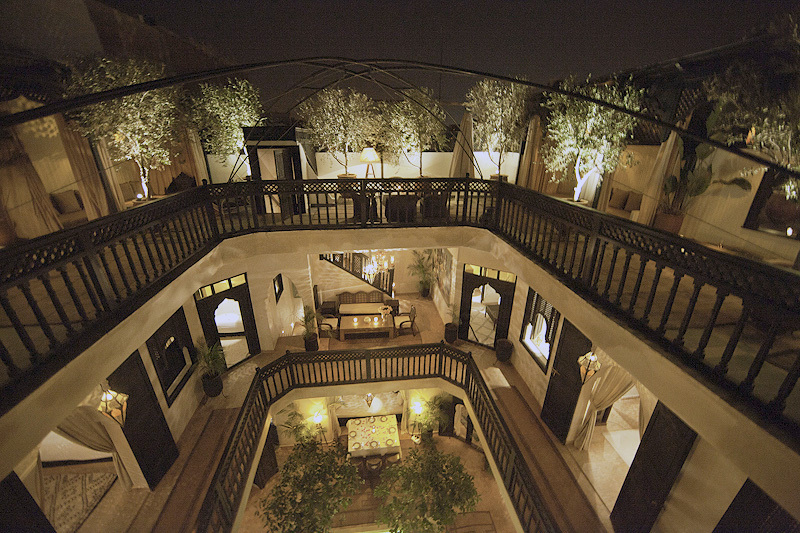 Dar Fakir is located in a quiet residential road just 3 minutes walk from the infamous square Djema el Fnaa. Situated in an elegant part of the Medina known as Kennaria, you are just minutes from the main souks where you have ample to opportunities for shopping or simply observing the artisanal craftsmanship as well as being only 5 mins walk from stylish restaurants such as Le Tanjia. The location offers peace of mind to any visitor and is easily accessable by taxi from the square or the Bahia Palace in just 5mins walk . Nearby parking is also conveniently available for anyone arriving with their own transport. Amira is a wonderful corner double room on the first floor of Dar Fakir. Furnished with a full wardrobe and even a little writing desk traditional in style. It has a window facing onto the courtyard, and ensuite bathroom with a shower. 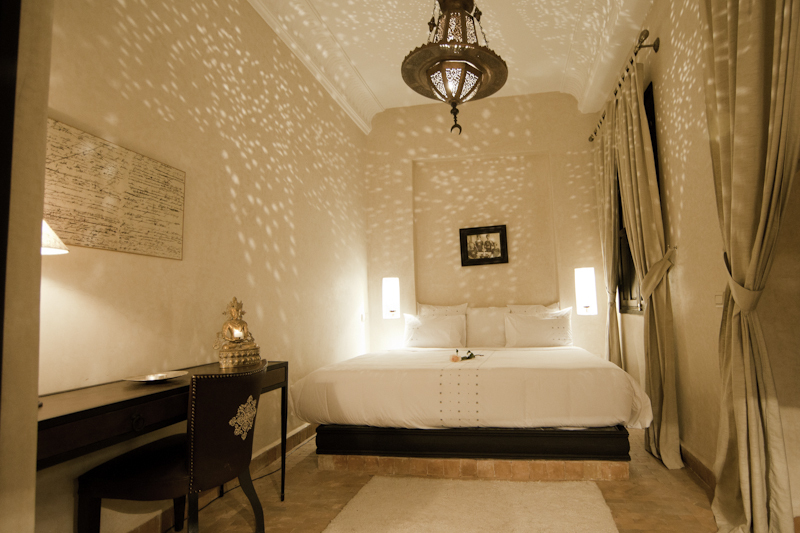 The largest of the rooms at Dar Fakir, Laila Saida is one of our most popular rooms. Located in the far corner of the 1st floor this room offers peace and quiet - perfect for a good night’s sleep. It has an ensuite bathroom with a shower, and can be arranged as a double or twin. 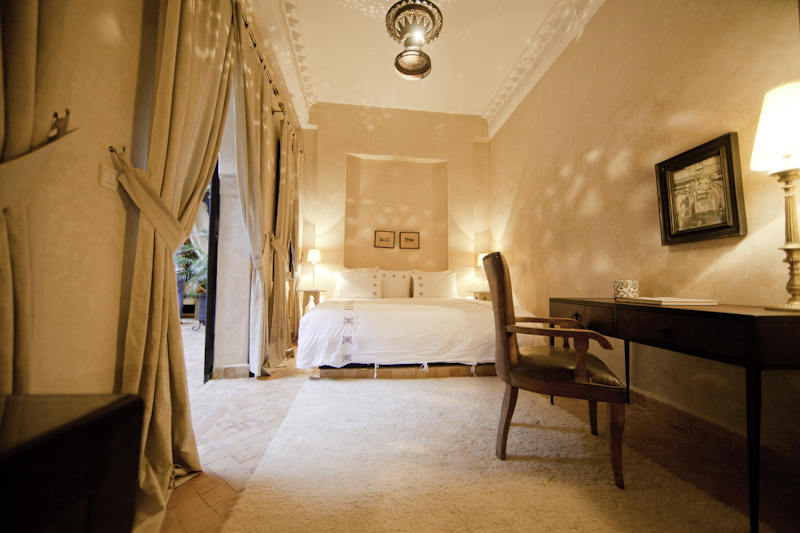 Ghalia is a beautiful corner double room located directly next to the stairs leading to the terrace. 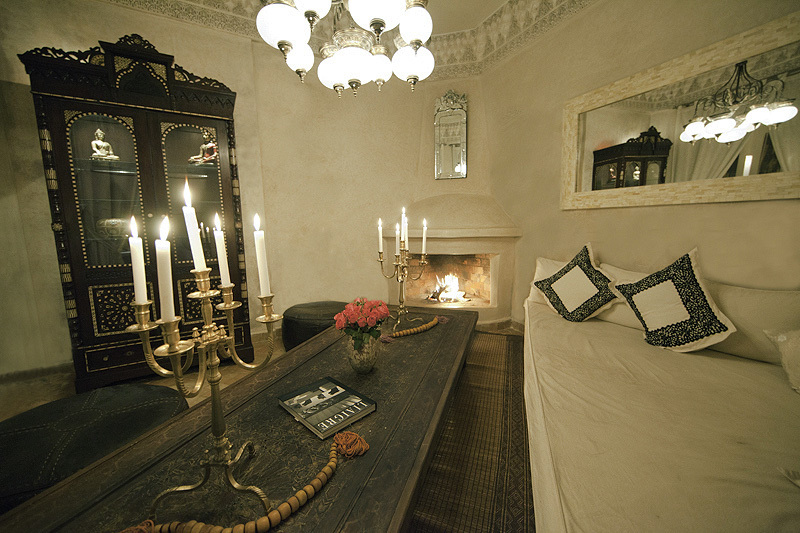 This is the only room in the riad Dar Fakir with an outward facing window onto the street. The window is situated toward the quiet residential road. Elegant Berber furnishings and decor. This Suite has 2 patio facing windows and lies opposite to Grand Suite Iswane. The 3/4 sized swinging doors separating the bed room and bathroom are unique to this room. 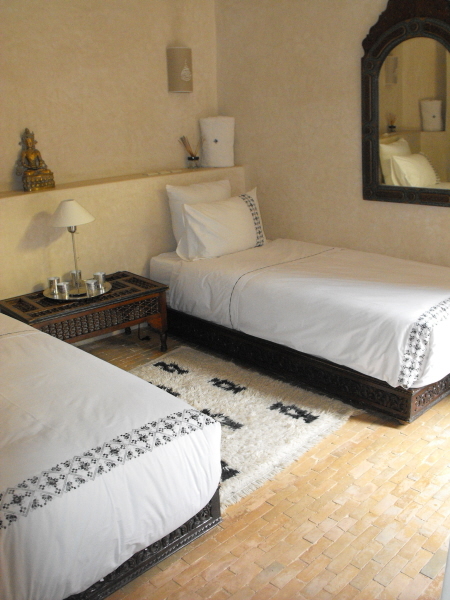 This beautiful spacious suite is decorated with stylish and sleek Berber furnishing and zellige flooring. The suite has two windows facing inwards towards the patio. 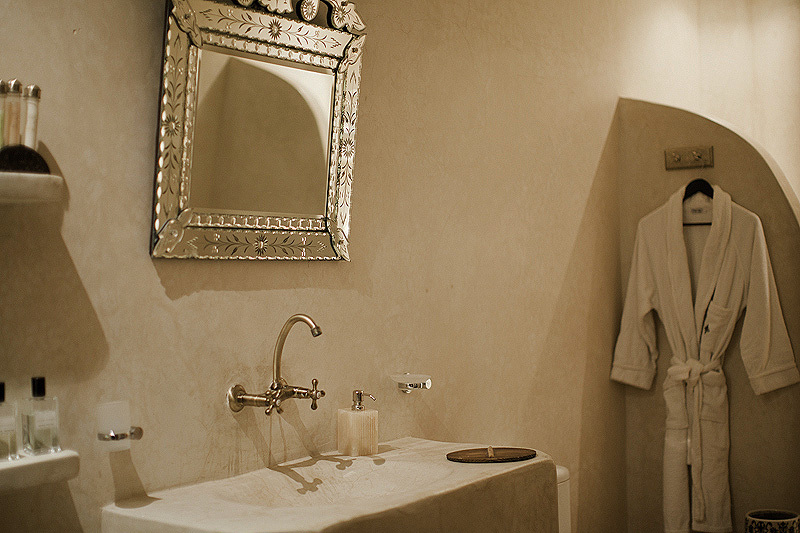 The bathroom is very grand in size and finished in traditional beige tadelakt, it has a shower and a bath. By being on the first floor you are simply a step nearer to enjoying the terrace. 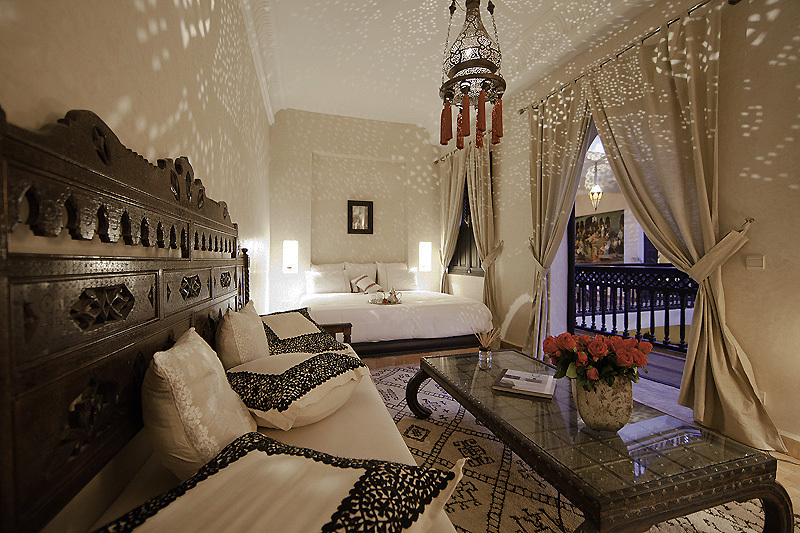 Dar Fakir’s beautiful spacious suite. Decorated with stylish and sleek Berber furnishing and zellige flooring. 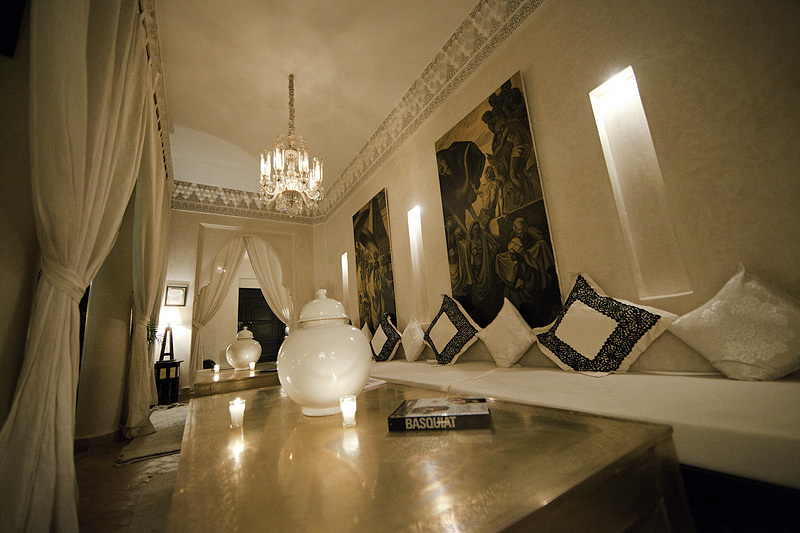 Suite Salama is the sole room on the ground floor. The suite has 2 windows facing inwards towards the patio. 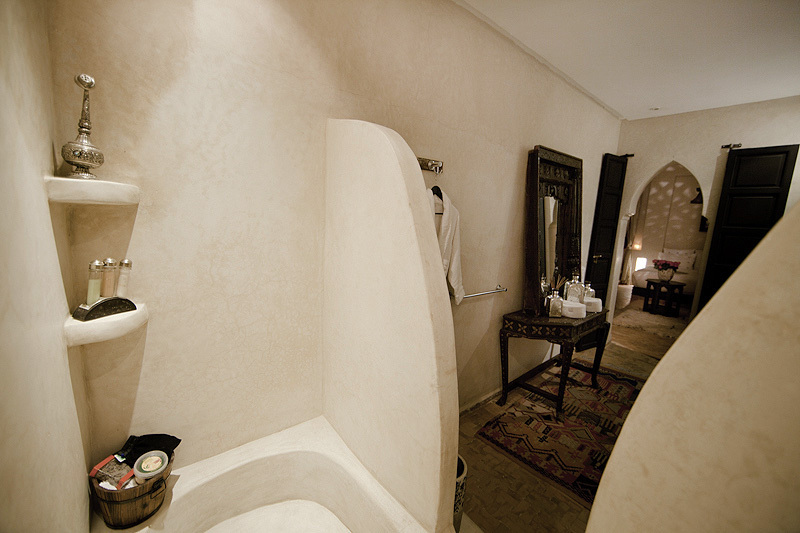 The bathroom is very grand in size and finished in traditional beige tadelakt it has a shower/ bath. Double room with extra bed on request. 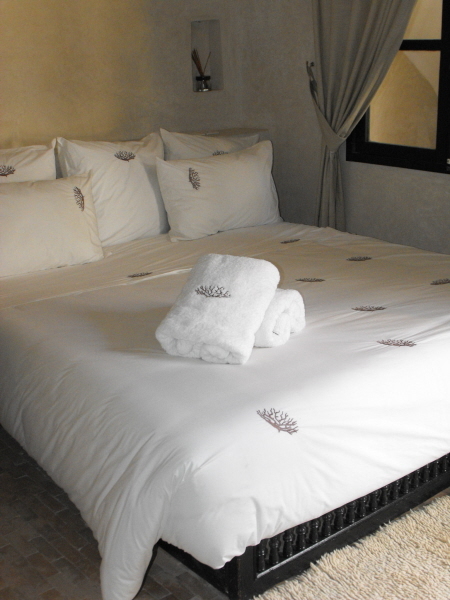 The Iswane Suite comes with King size bed, large bathroom and a lounge area. The sofa can be used as an extra bed for an additional €30 per night, if required. Decorated with dark wood furniture this suite also offers ample space to sit and relax. The base rate price at Dar Fakir is in pounds, euros, or Moroccan dirhams and exchange rates are approximate.